← President Obama’s Jobs Speech: Marxism Redux? This entry was posted in Central Asia, Defense, Energy Security, International Security, Middle East, Policy, Terrorism, War and tagged 9/11, 9/11 Anniversary, Afghanistan, DOD, DOD Budget, Iraq, Pentagon, September 11, U.S. 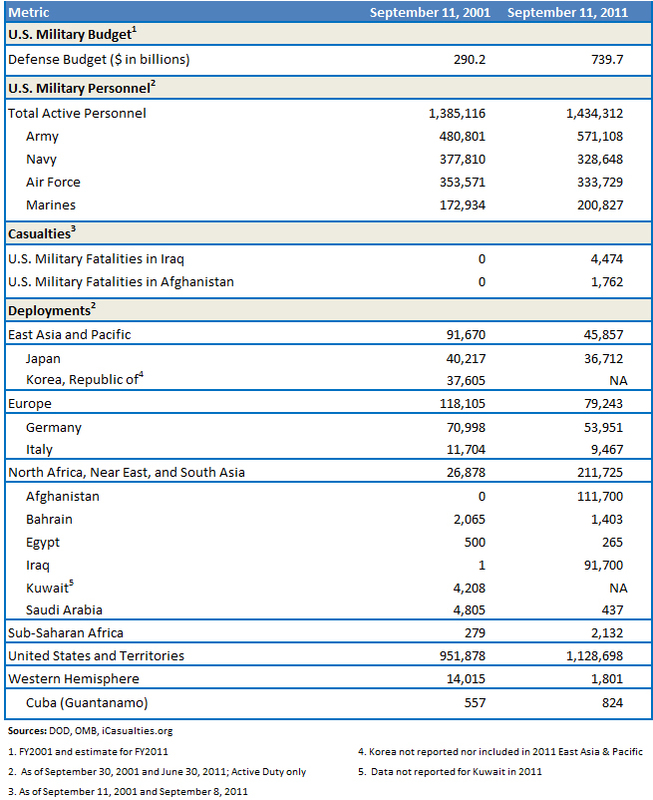 Casualties, U.S. Military. Bookmark the permalink.